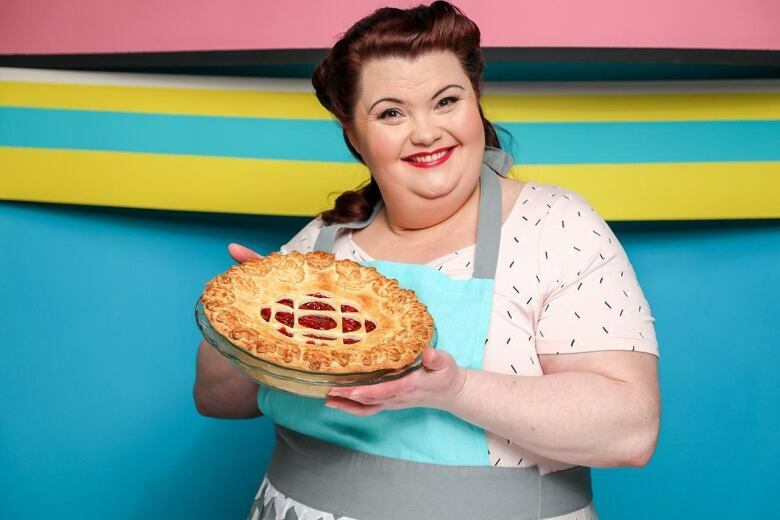 Can you blame us if we think this CBC gem stencilled pie is the best dessert for Canada Day? However you fill and top your pie, this recipe and how-to from Arlene Lott is a must-see. This recipe was originally published June 28, 2018. With it being prime fresh (local!) fruit season across Canada, pies are in order. We went to pastry pro Arlene Lott get her perfect pie pastry, and her tips and tricks for this easy peasy stencil pie topper. Of course we used the CBC logo but you can customize your pie using a stencil of anything you want — this is an easy technique to master with Arlene’s tips for beautiful results. Watch her detailed instructions here, then get her pie crust recipe below. Vegetable shortening can be used in place of the lard for those who don't eat pork or meat in general. The vodka won’t add any flavour to the crust, but it’s said to prevent gluten from developing, resulting in a more tender crust. Cut butter and lard into ½ inch pieces and place in fridge or freezer to keep cold. Combine 2 cups of the flour along with the sugar and salt in your food processor. Using a food processor helps keep the crust flaky. Add butter and lard cubes to the flour in the food processor and pulse about 6 times for 2-3 seconds until the fats resemble coarse crumbs with some cottage cheese-sized pieces. Then add the rest of your flour and pulse again. Sprinkle ice cold water and cold vodka over top of the dough. Pulse food processor a few more times until the pastry comes together in a ball. Turn it out onto a table and use hands to bring any loose pieces together and divide it in half. Wrap each separately in plastic wrap, and flatten into two 6" x 1" thick discs. Place them in refrigerator to chill for at least 45 minutes before rolling. Generously flour your counter and pin, and roll out pastry to 1/8 inch thickness, roll dough around a rolling pin and gently unroll over top of an empty pie plate. Press and form into pie plate. Trim off any excess dough that hangs over the edge of the pie plate and keep the excess dough! You’ll use this for creating your decorations. Fill your pie shell with your desired filling and chill in the fridge while you make the decorations. Use the excess, rolled out dough to make the decorations below. Your CBC logo should be enlarged to approximately 6 inches in diameter so it will fit nicely on a 9.5 inch pie plate. Once the logo is printed, cut a circle 9.5 inches in diameter around the logo. 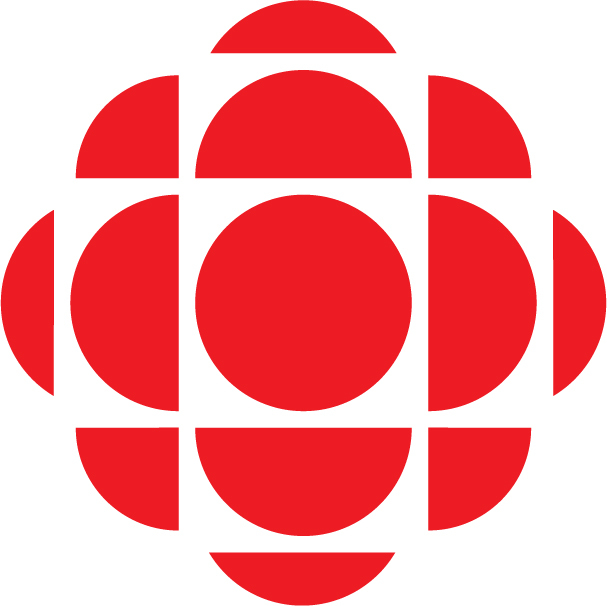 Place the stencil on top of a cutting board and with an exacto knife, cut out the circles and half moons that make up the CBC logo. Clear your work area and generously flour your surface to roll out the second disk of pie dough. Place the stencil over top of the rolled out pie dough and with a paring knife, trim off excess dough from around the 9.5 inch circle and start to trace over the logo, removing excess dough as you work. 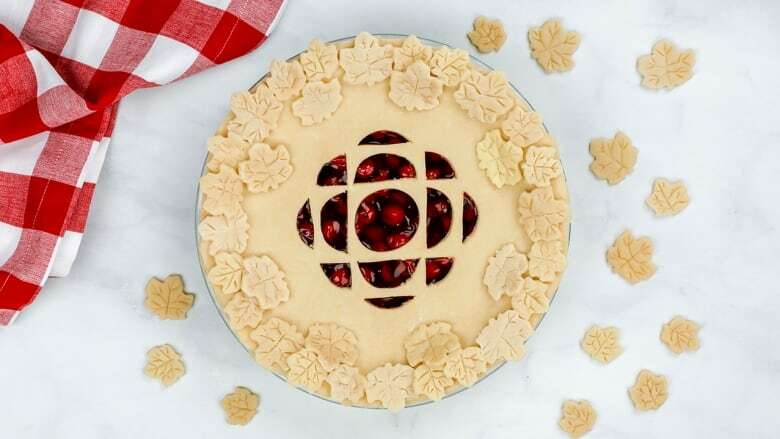 Transfer the CBC pie logo to a parchment lined sheet tray and chill in the fridge for 30 minutes. Use the excess dough trimmings to make 16 large and 16 small maple leaves with cookie cutters. Use a paring knife or skewer to add stem details to the leaves. To your filled pie, brush cream around the border and gently place the CBC logo pie sheet over top of pie plate and wrap edges together. Place maple leaves around the border, alternating between large and small maple leaves. Brush the whole pie with cream and chill in the fridge for 30 minutes. While pie is chilling, preheat oven to 350F degrees. Bake pie for 1 hour or until golden brown. Servings: Makes enough for a 9.5" deep dish double crust pie with decorations. Watch how simply this intricate 3D pie art comes together and we promise you'll think "I totally can do this!"